Allison, the narrator of The Curse of Blessings, is blocked from realizing her own stories. She travels to Florida to visit Reuben, her old mentor. He takes her to his synagogue and opens a Torah scroll. He begins to read not from the Hebrew letters, but from the white space. "The Torah is written in letters of black fire on a background of white fire," he says. Within the stories he brings from the white fire she discovers the secrets needed to unlock her own stories. 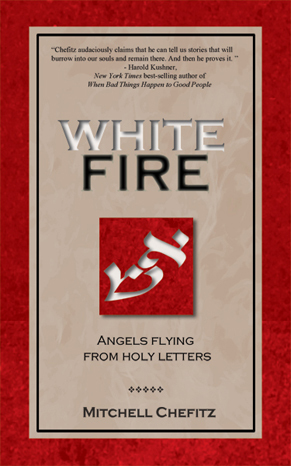 Click here to read an excerpt of White Fire.